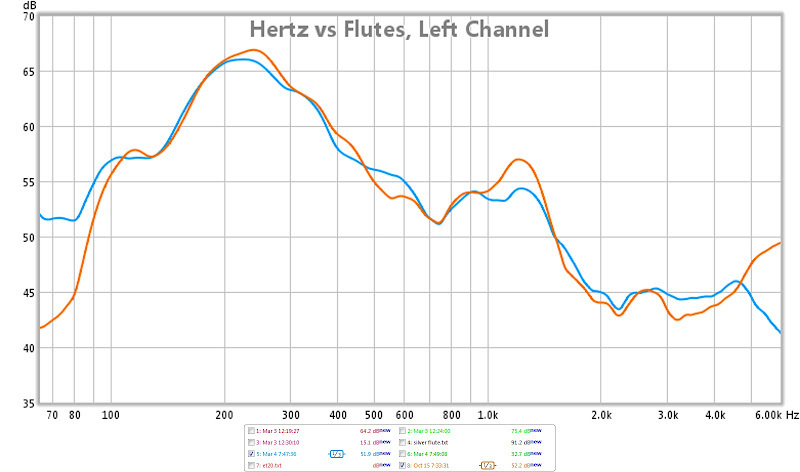 I just switched from Hertz ESK drivers to 6.5" Silver Flutes from Madisound, and wow what a difference. They go much lower, so I cross at 65 Hz now, which really reduces some of the sub localization. Piano and sax are so much smoother than with the Hertz drivers. Really nice. For $70 a pair shipped I'm overjoyed with these. glad to hear you like them. how is the midbass punch? From reading some wise peoples posts, it seems a lot of the punch comes from the time alignment/crossover between subs and mids. So if they go low I would assume they can be made to have punch. And with 5mm xmax I see why he says they play low. They have a much harder punch then my Hertz ESK's did. The door panel, side mirror, and floor are all shaking more then before with each bass drum hit, but I'm also crossing them at 65 Hz instead of the 75 that the Hertz units struggled with. I just beat on them for 4 hours straight and am even more impressed. I stumbled into a track on a Chemical Brothers disc that was a low sine sweep drop that was really amazing on these Flutes. I'll be modding to door panel soon to cut out the lame factory plastic grill and then I'll post some more on the results. I suppose I can run some near field sweeps on them with a flat eq so you can see what their curve starts out like in a typical door install. I'm using the 8" versions in my build (see '00 Neon Dash Build in the build log section) and just had a chance to hear them today and I'm blown away! I had them mounted IB in the doors before and they weren't all that great, but this is much better. Pic below for setup; they're in about .5 ft^3 sealed running 200hz and down (yes, all the way down) for now, I haven't done any tuning beyond basic levels and crossover settings. I only have one powered for now but can feel a distinct "snap" in the top of my chest and neck on stuff like Jamiroquai. Glad you're enjoying yours as well! I've heard that the 5" versions are impressive as well. I remembered the Chemical Brothers track - it's "Under The Influence". Give it a whirl, but test the waters at 1/3 volume first. I had to make a quick grab for the volume control as it comes out of nowhere. can't wait till i get my dual 6.5s in my doors. I bought a set of the 6.5"s over the holidays with some seas tweets. I've been running them with some old eclipse passive xovers and a Niles si-275 in some small enclosures on my workbench. They sound fantastic and have some pretty awesome kick to them. I've been assembling components to run these active, undecided if they will go in the doors or some kickpanels. You can't go wrong for 30$ each.. These Silver Flute speakers are very nice sounding drivers.... I think the wool cone is a strong reason. I know some people don't entirely beleive the freq response curve for these that's posted on the Madisound site, so I did a quick near field measurement today with one of the Flutes installed in my drivers door. Absolutely amazing results. The black line is the data posted by Madisound, and the green line is my test. 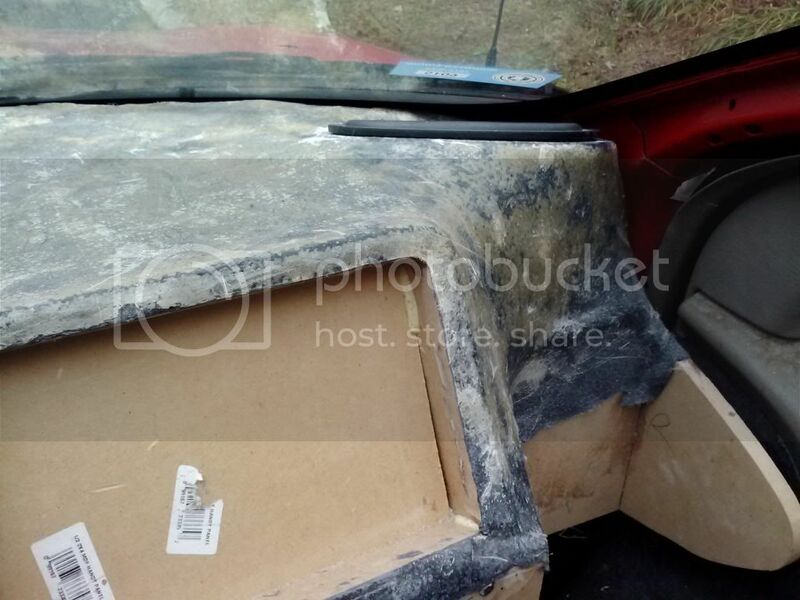 I never expected them to be this close, especially in a car door install. Thanks! That looks really good. There's lots of talk about these drivers but not a lot of technical data. All this sounds almost too good to be true. How is the midrange clarity? 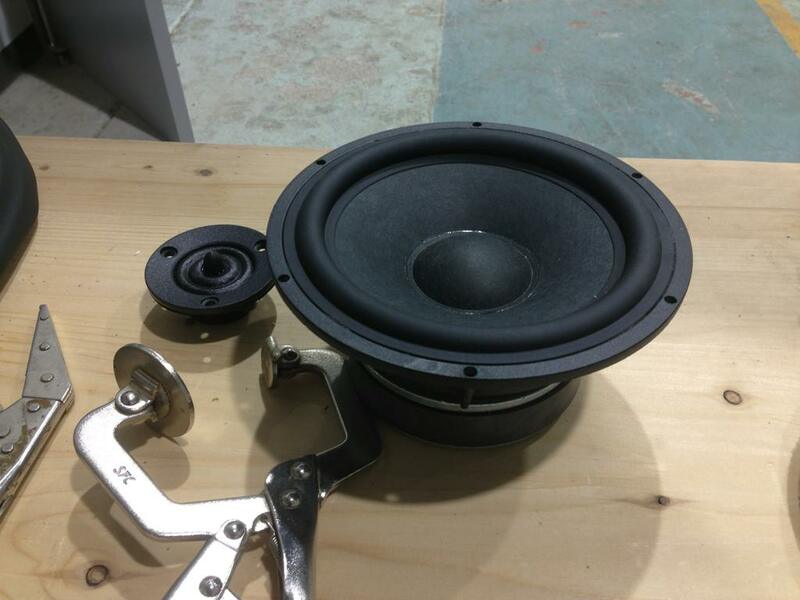 The speakers qts suggests it's optimized for ported enclosure. I wonder if that impacts the sound in door in any way. Was frequency response measured on axis? If you are 2x above Fs, the don't worry about the T/S parameters like Qts. Nice review, glad you found success. I had these for a while and they were very muddy with a lack of midrange clarity. Not bad for 30 bucks but easily beaten by other (granted more expensive) components and DIY drivers. I look at the Flutes as a budget solution, and I'd expect that they sound like one when compared to higher end drivers. They have much cleaner midrange than my Hertz drivers did. The Hertz units tended to make vocals and sax sound slightly “canned”, and were bloated in the 200 Hz area so they got pretty muddy, plus they didn't reach low enough so I had to use my sub more than I wanted to. I think I going to try these. I have the large Vifa XT25's that were the rage in the hot deals about a year ago. Ive been sitting on a set of biamp Mb quart passive xovers that are 18db slopes at 2500hz. If I can get the tweet more on axis with a cup of some sort, I think the Silver Flutes might make a killer cheap set. In a treated door, do you think I would have any issues getting them down to about 70hz? In my case they will basically be IB in the door with dynamat. 70 is basically the max I think my 18w6 will allow. I'll be giving them a shot. i have mine set at 63 with a 36 db slope right now and they are handling it fine. I've got mine crossed at 65 Hz with a 24 db slope and they seem to be plenty happy. I'm putting about 75 rms to them though, active. interesting. i thought about getting some of those as the specs looked good and price tag was as well. Do you recommend building an enclosure for the 6.5"s in the kick panel area or just running them infinite baffle type in the kick vented to the outside. Mid/highs will be ID horns (pro).. so these are mid bass duty specifically with alot of power going to em. Trying to stay away from installing/cutting the doors (69 El Camino). I'd do some WinISD modeling before building your enclosures to see what to expect. Mine are mounted to the door in typical fashion, so should be essentially IB. I know they work well this way, delivering close to the advertised FR curve. It looks like the F3 of the flutes in my doors is right at about 60 hz. That's working well with my 65 hz crossover point. I just finished up revising my TA to better sync with the sub, and now the bass in my car is excellent. Especially considering the two mids and sub together cost a total of $120.